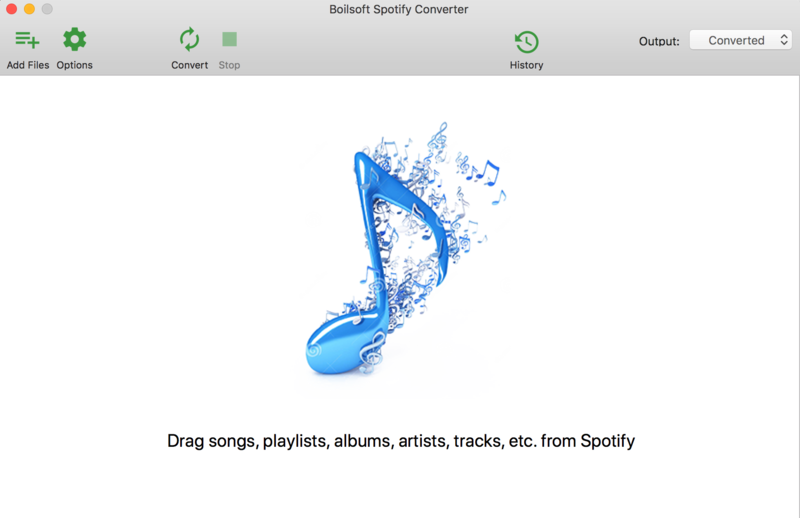 To listen to Spotify songs, you need to download the software client that is compatible with your operating software. Tracks in Spotify music library are DRM protected. If you use Offline Mode, these tracks are locally cached on your computer but are still encrypted. For those devices that are not compatible with Spotify such as iPod, MP3 player, you can’t enjoy Spotify songs on them. So is there some good options? 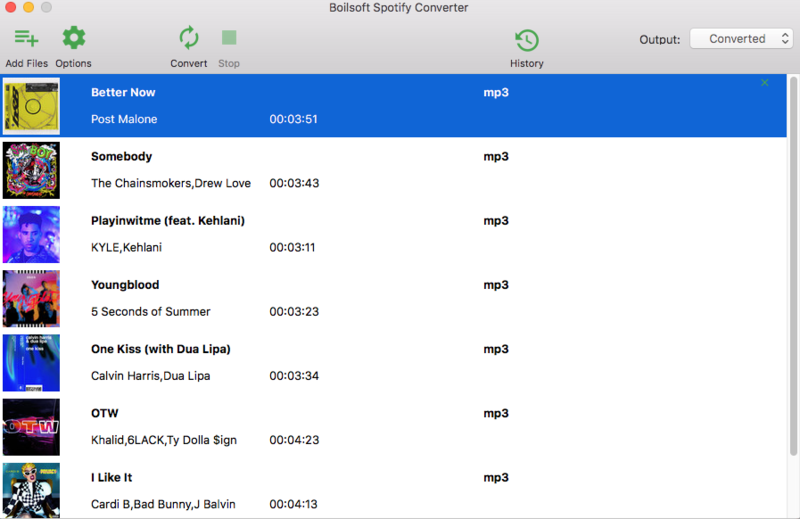 Boilsoft Spotify Converter can extract DRM-free mp3 music from Spotify music streaming service, you can then transfer the files to your MP3 player, burn to MP3 CD, USB drive etc. 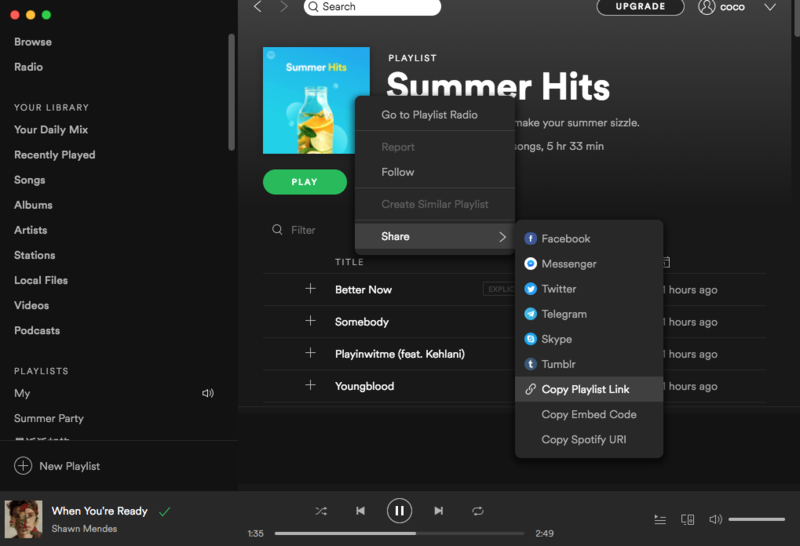 Spotify ripping allows you to listen to any Spotify songs anywhere on any device without internet connection or Spotify premium. 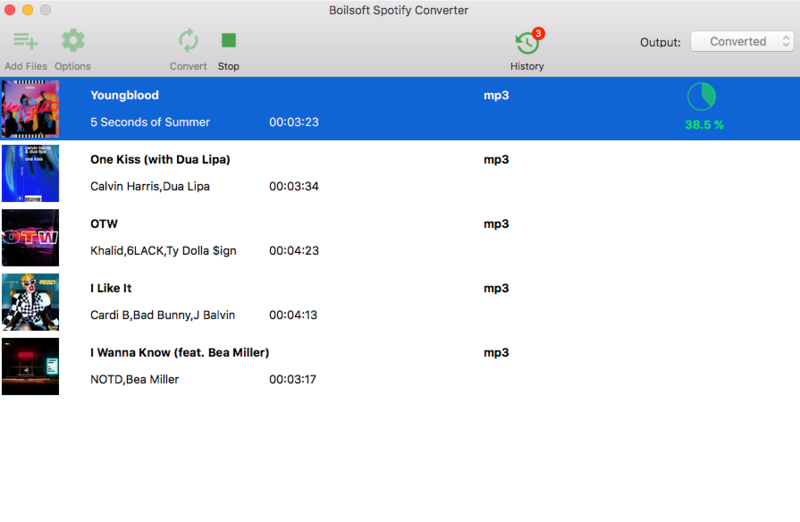 Boilsoft Spotify Music Converter allows you to easily extract and save Spotify songs/albums/playlists to MP3, M4A, WAV and FLAC with all original tags and 100% lossless quality. 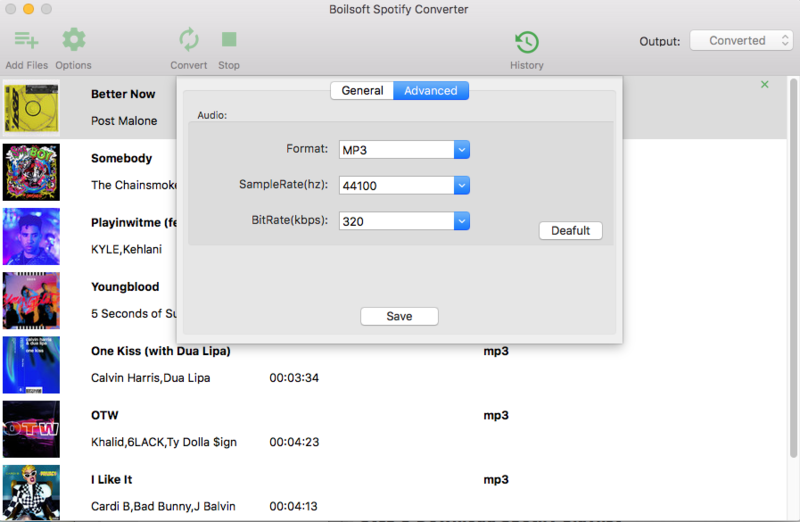 Follow below steps to rip Spotify songs to mp3. 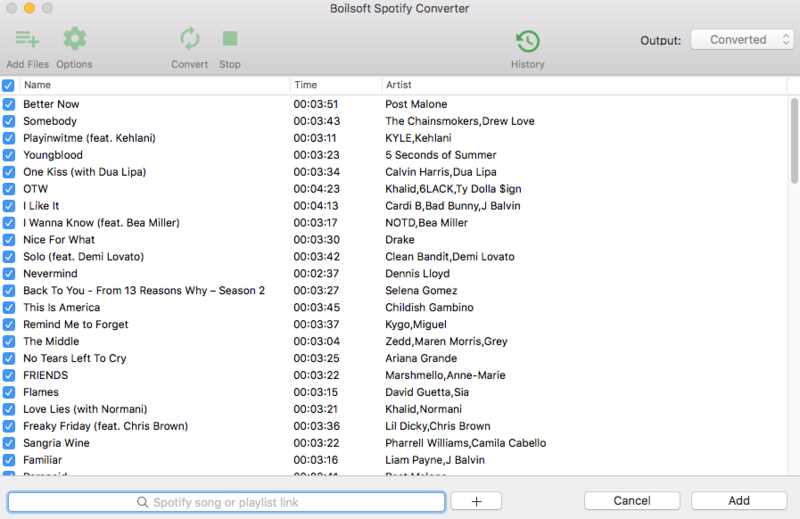 Drag&drop Spotify songs, albums and playlists you want to play in the car from Spotify app to the interface directly. Or click Add Files, copy&paste the link of the song, album or playlist to the left bottom area. And then click the Add button. All songs in the playlist will be checked by default, you can uncheck the ones you don't want to convert. Or add more playlists as you like. Step 3 Choose music format and quality. Format: You can choose MP3, M4A, WAV or FLAC audio formats by clicking on the small down-arrow icon underneath the format heading. If you plan to transfer the ripped songs to an MP3 player then check to see what formats it supports; choose MP3 if unsure. Audio Quality: The audio quality of the output songs can be adjusted. Select bitrate, samplerate according to your needs. 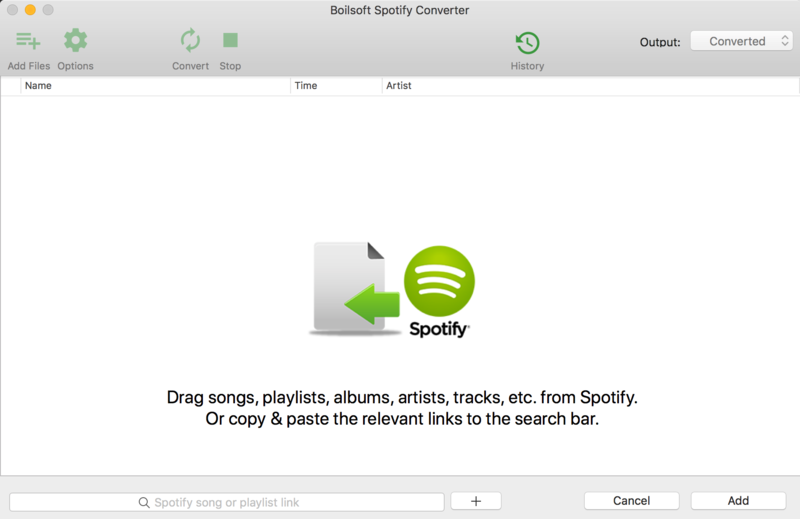 Step 4 Click the Convert button to start ripping Spotify music to the format you choose.